4.0 out of 5 based on 17 bloggers and 0 commenters. 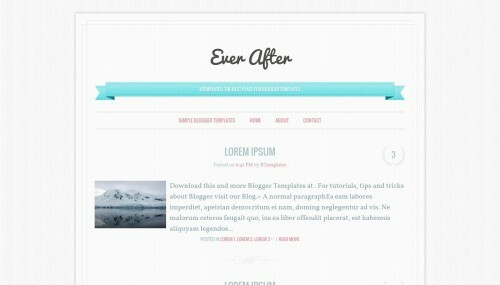 Ever After is a free blogger template adapted from WordPress with 1 column, responsive design, fresh look, footer columns, posts thumbnails, a background pattern, related posts support, cute design, girly looking, simple look and vintage style. Excellent template for blogs about art, crafts, to write a diary or home and decoration.